Based on reviews from 20 experts and 29,354 users. Learn how our rankings work or see our guide to Nike cheap running shoes. Updated Apr 2019. Finding the best running shoe has never been easy. Runners need to consider the performance of the shoe, comfort, price, style, cushioning and a lot more. Aside from cheap Nike running shoes, there are also other brands that offer running shoes below $100. Read the content below and find out the best cheap Nike running shoe that suits well your running style and needs. 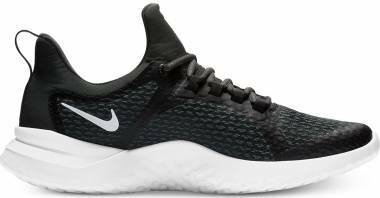 Cheap Nike running shoes for men and women traditionally don’t have a lot of bells and whistles. They may contain some of the brand’s most iconic technologies and add-ons, but such accouterments don’t necessarily have weighty profiles. While some consumers may shy away from a lack of high-tier components, others may find such a distinction to be highly agreeable, especially when it comes to options that are cheaper than the flagship models. Rubber outsole – The outsole units of many cheap Nike running shoes are generously filled with rubber. These layers are tasked with protecting the midsole from the damaging nature of the surfaces. They don’t skimp on the amount of rubber because a relatively thick external pad doesn’t weigh down a shoe that doesn’t have too many components. Moreover, the material’s presence and thickness seldom hinder natural movement because of the presence of flex grooves. Ethylene vinyl acetate (EVA) – One of the commonly used cushioning compounds in the market is EVA. It has a soft yet sturdy construction that allows it to carry the foot responsibly through the gait cycle. It can last a long time, too, as it’s molded into a cast that generously accommodates its form, making it as full-bodied as possible. EVA is also lightweight; its full-length profile doesn’t aim to hinder the natural performance of the wearer. Removable insole – Shoe designers and manufacturers are usually thoughtful when it comes to the overall underfoot experience of their consumers. Foam midsoles are naturally topped by lasting boards, and those layers aren’t very comfortable. Inserts are included in the package to evoke the feeling of actually standing on the primary cushioning unit. These add-ons can be removed or replaced with a new one or a custom orthotic insert. Breathable mesh – People who desire to run are encouraged to wear their running shoes for a minimum of an hour. The foot is most likely going to be wrapped in a sock and enveloped in the upper unit of the footwear. Such functionality may mean that a lot of sweat may be generated in the foot-chamber. So, it is the job of the upper unit’s fabrics to welcome the flow of air into the interior foot-wrap, ensuring a cool and dry coverage for the wearer. Flywire cables – Nike is best known for its innovative fit-adjustment system, the Dynamic Flywire Cables. These strong wires are integrated into the midfoot portion of the upper unit, jutting out of the fabrics near the instep and looping through the shoelaces like the eyelets that they are. Adjusting the tightness or looseness of the crisscrossing laces causes the Flywires to follow suit, giving a custom fit that adheres to the expectations of the wearer. The Revolution series is Nike catering to the beginners of the running community. It is a roster of straightforward companions for the neutral pronator, providing adequate cushioning and flexibility for the entire running session. The 4th version of the Nike Revolution is touted as one of its best. The front portion of the façade is made of an open-weave mesh while the back features the close-weave version. These textiles are sustained by internal padding and printed overlays. These seemingly common components all work together to ensure a well-rounded running experience. The Air Zoom Winflo series has seen its fair share of evolution during its tenure as a relatively fresh line of greatly welcomed running shoes. The products began as companions for neutral pronators, but the change came when the Nike Air Zoom Winflo 5 featured stability mechanisms: the Cushlon ST steadying platform and a crash rail. These elements join forces to prevent deviation in pronation while also ensuring well-cushioned transitions through the gait cycle. The Running category in Nike’s roster of performance products began as early as the company’s inception in the year 1964 as the startup, Blue Ribbon Sports. Buddies Phil Knight and Bill Bowerman were enthusiasts of running, and they wanted to form a company in which they could stretch their creativity and desire for better performance footwear. The Waffle Trainer, a precursor model that utilized the segmented sole unit that highlighted Bowerman’s original design. Flexibility and responsive performance were the highlighted functions of this cushioned platform. This innovation proved to be popular among those who desired a shoe that was able to follow their natural movements with ease and sureness. 1987 is a landmark year for the Nike Running group as they had unleashed a batch of running shoes that featured the Air Max technology, a flexible plastic cassette or container that contains compressed air. Nike wanted to offer a new way for runners to experience comfort yet they also wanted their features to look fresh and appealing to the eyes. Over the years, Nike continued to build their portfolio of shoes for various activities. The Sneaker division has even reached extreme popularity because people desired their casual and fashion-forward offerings. Then people were starting to move into the realm on minimalist running. Nike’s answer to such a growing trend was the Nike Free concept, a line of close-to-the-ground running shoes that wholeheartedly welcomed the natural movement capacity of the human foot. They gave the people a means to stay comfortable and secure while having proprioception and a freeing feeling. In the year 2012, the Flyknit was born. This upper unit technology is made of a sturdy yet stretchy yarn, acting as a hugging device that contours itself to the shape of the foot as it stands idly or moves around. The seamless construction of Flyknit permits runners to wear it without first wearing socks. It’s breathable and lightweight, as well. The running shoe industry is a lucrative one. High-profile companies and brands have always enjoyed great revenues because of the demand for shoes from many an individual. Nike, known for the high-quality designs and technologies, boast prices that can certainly turn heads, but most likely for the express purpose of criticizing the costliness of it all. Such lucrative rates are most likely meant for running enthusiasts and elite athletes who want the best of the best when it comes to their pairs of performance shoes. But cheap men’s and women’s Nike running shoes were on the rise, as well, because reaching the whole market is highly beneficial for the financial growth of the brand. Based on user reviews, most people actually consider $150 shoes to stretch their wallets to the limits. And others believe the $100-and-below mark to suit their needs. However, wise purchasers also look at the quality of the product that they are choosing. They most likely don’t want flimsy components to govern their $100 running shoe, so durability and performance are also taken into account. The Swoosh-centric brand’s desire to reach all consumers resulted in cheap Nike running shoes that feature industry-standard components. The regular ethylene vinyl acetate-derived midsoles are regularly featured in such shoes, as well as the staple breathable mesh and traction-ready rubber. Not a lot of features grace the affordable options, though Nike touts long-lasting performance from their line of inexpensive options. Should I buy multiple pairs of cheap Nike running shoes since they have affordable price tags? If you have the budget for many running shoes, then, by all means, get an extra pair or two. But you should also be sure that you are able to alternate your pairs for your runs. It is never healthy to continually fill your home with new things that are never going to be used. 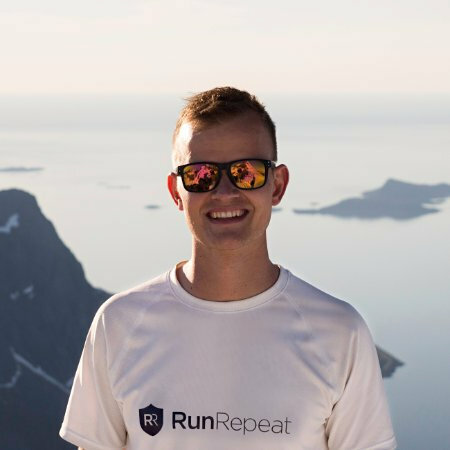 If you frequently run, then you could use particular pairs for specific activities or levels of effort while having others as reserves or as alternates for the next time you take to the roads. Does the price of a Nike running shoe affect its overall quality or durability? Many consumers are immediately concerned if they see that the price of a pair of running shoes is lower than they expected. They look at the price, then proceed to scrutinize the build quality and the overall design. But most shoes have a solid construction; they even have ridiculously low prices that range between $60 and $100. If you are in doubt about the quality-to-price ratio of a pair of shoes in which you’re interested, then you can look at online user reviews in virtual stores and comments pages. Or you can try out the shoe for yourself if you can see it in a brick-and-mortar retailer and determine if its quality is on par with your own standards. Consumers from all over the world have enjoyed quality products from brands such as Nike. Seldom do cheap yet curated shoes have flimsy frames.